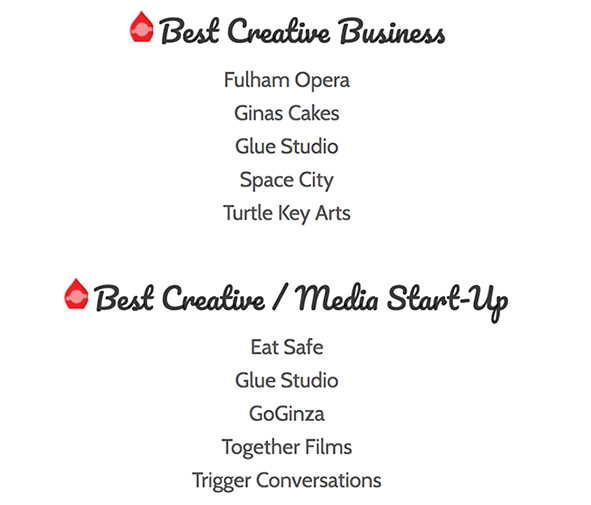 GLUE Studio have made it to the shortlists of the 2018 Hammersmith and Fulham Brilliant Business Awards. Overall, there are 13 prizes up for grabs under the Judges Prize Category and three under the Public Vote Categories. Zarina Holmes, CEO and Creative Director, GLUE Studio commented: "We are pleased to be shortlisted and be a part of the Hammersmith and Fulham enterprise community. I hope Hammersmith and Fulham will continue supporting small businesses and local talents. “This area has a long history of producing great designers such William Morris and William de Morgan. I hope this spirit of creativity and entrepreneurship will continue." According to the organiser, this year saw a record number of entries for the awards, with 3,700 nominations received from residents, shoppers and customers for their favourite businesses in Hammersmith, Fulham and Shepherds Bush. The winners will be announced on 7 November 2018 at the Grand Awards Presentation to be held at the Hammersmith Town Hall. For more details on this year’s awards, visit hfbrill4biz.com.